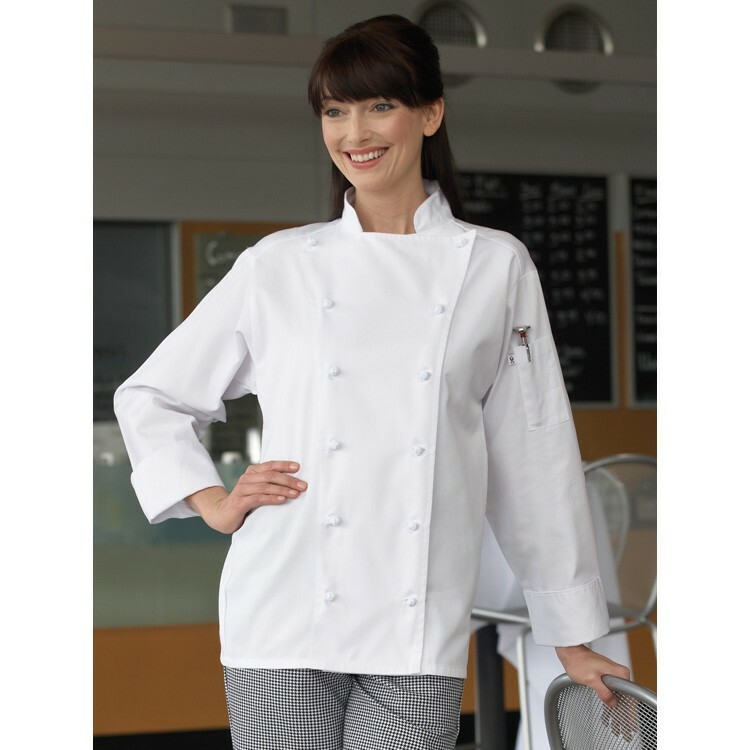 With no chest pocket, this smooth front white chef coat has the same bells and whistles as our more expensive, all cotton coats at a more affordable price. Made of 65/35 polyester/cotton twill blend (7.5 oz.) offering twelve inset knot buttons, sewn underarm vents, an executive style three piece back, thermometer pocket, finished cuffs and collar and reinforced bar tacking. Available in sizes XS-6XL.